Challenge 259 ends on Saturday, February 17th at midnight EST. Theme Option "Sweets or Hearts"
Design image on your entry. 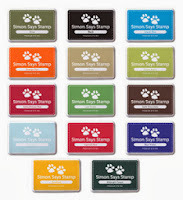 and her team at Simon Says Stamp! donated by our generous teammate, Christine. Hi Sue, So cute. I love it. A gorgeous card Sue, such an adorable image - I just love the sweet verse and gorgeous die cut heart. Gosh, that photo makes me shiver from head to toe! Brrr....... As always, your card brought a smile! Love the verse that Mose is sending it's one true love! Too funny! Seedy breath...hee hee! Thanks for sharing! Gorgeous Sue , lovin that red doily very posh indeed !! Very pretty, I love how you use the flowers. Sue, this card is just darling! Thanks so much for sharing with House-Mouse images! Love your very Valentine creation here!! Wonderful. Beautifully designed card! Love the image! LOVIN' the Red Foiled Heart Doily to accent this gorgeous Valentine Mousey Make! Beautiful rich coloring and fab paper (I know what you mean about not wanting to cut into those lovely designer papers we card-makers tend buy to keep on hand to look at but never cut! LOL)... The flowers on heart's edge are beautifully placed to showcase this Mousey adorable image. Fab little finishing bow too! Great job Teamie! Love the layering! Sweet card! What I love about this: everything. But especially the sentiment. I love that she loves his seedy breath and cheesy jokes! Your Valentine is over the top, gorgeous!!! The deep red doily, matched up with the scallop heart and that adorable image with all your beautiful embellishments is just beautiful!! Great job and love that I have found your blog! AM your newest follower and share your love of House Mouse stamps!